My daughters and I always label all of their school items together. We sit together on the floor with every item spread out in front of us and we label each school supply. We really look forward to it, it’s our back to school tradition. This year I suggested to my daughters that we change up our back to school tradition. They looked quite uncertain with my request until I told them that I wanted to add something to our tradition. 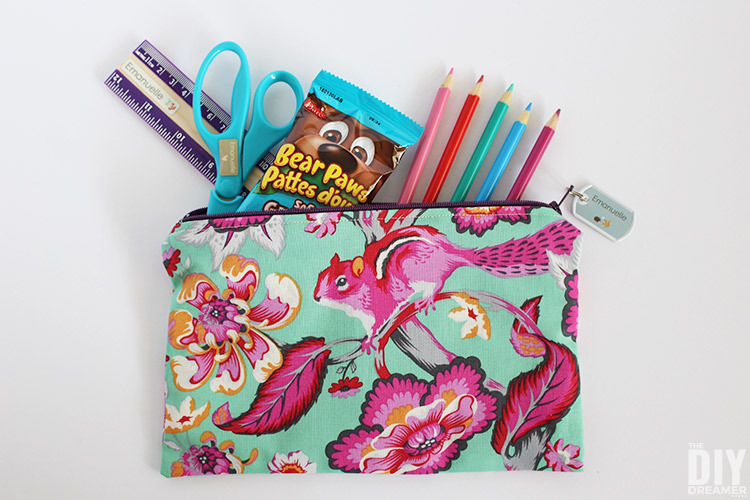 I told them that I would like us to sit together and sew each of them a new pencil case. WOW! You should have seen the excitement in their eyes! 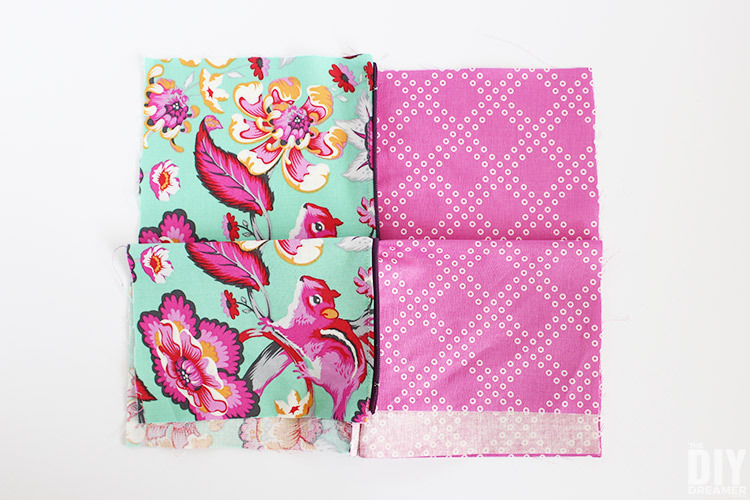 They ran right away to our fabric stash and picked out the fabric they wanted to use along with a matching zipper. 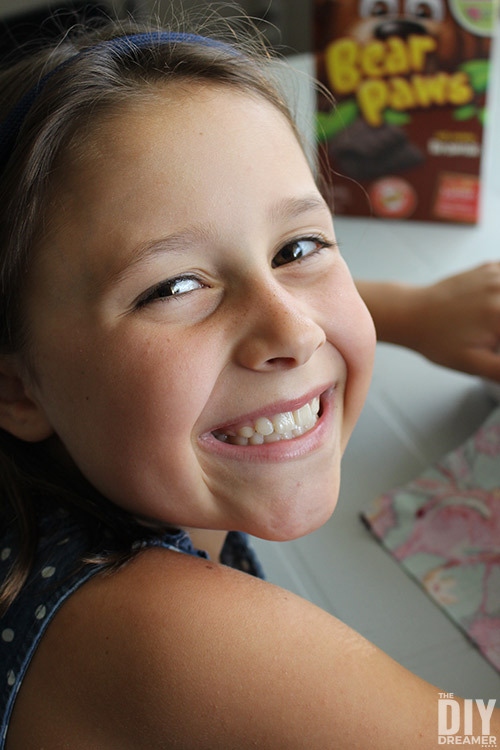 It was so much fun, we sewed, laughed, and snacked on our favourite snack Bear Paws! Have you tried Bear Paws? My kids LOVE them! They bring some to school every day (they are peanut free) and we even bring some along with us when we are on the go. It’s really practical to have a nutritious snack that you can grab and go! 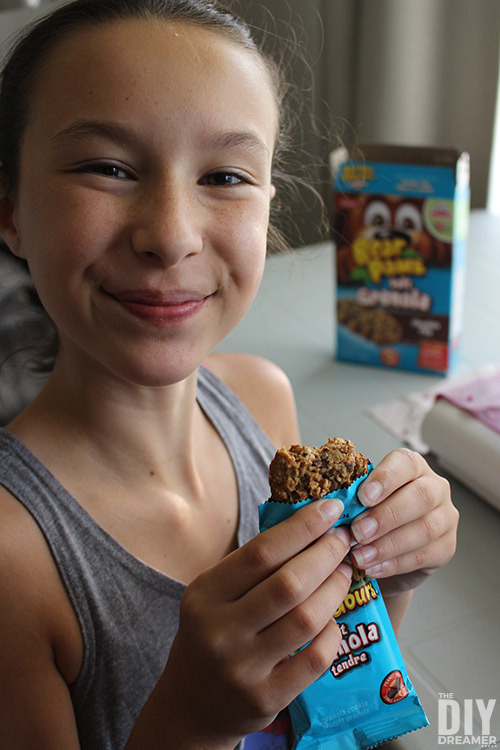 I love that they are made with real chocolate or yogurt, whole grains and they contain no artificial flavours or colours! They are so good! 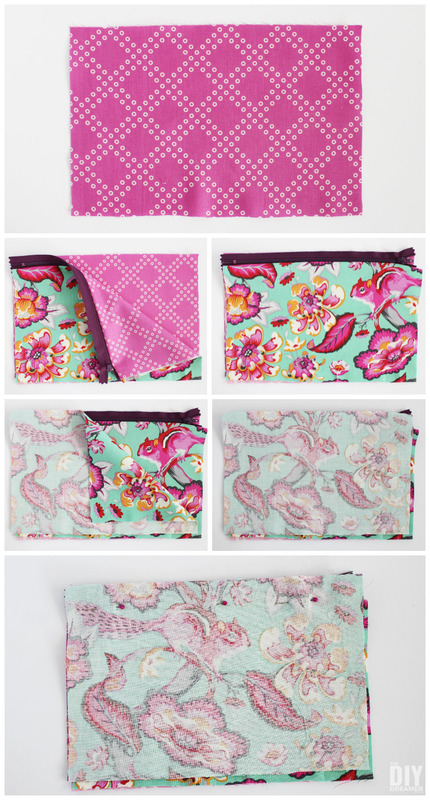 Want to sew pencil cases too? This is how we did it! Step 2: We placed one of the lining pieces face up on a flat surface. We placed the zipper face up lined up to the top of the fabric. Then we placed the outer fabric face down over both and pinned everything together. 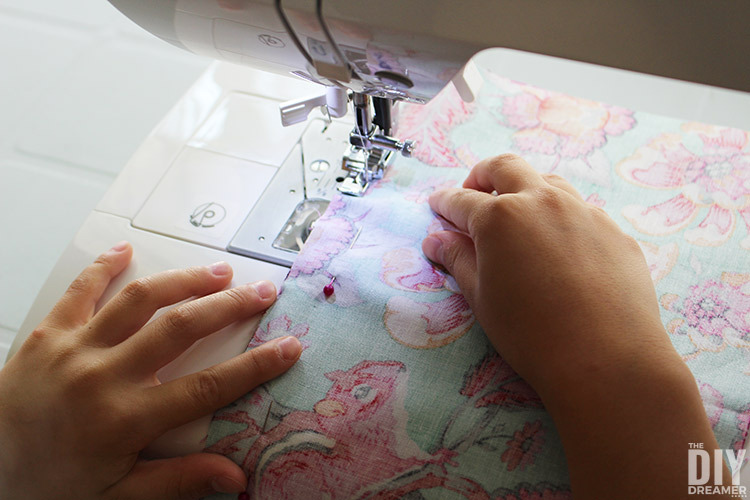 Step 3: Next we moved over to the sewing machine to sew the pieces together using the zipper foot. 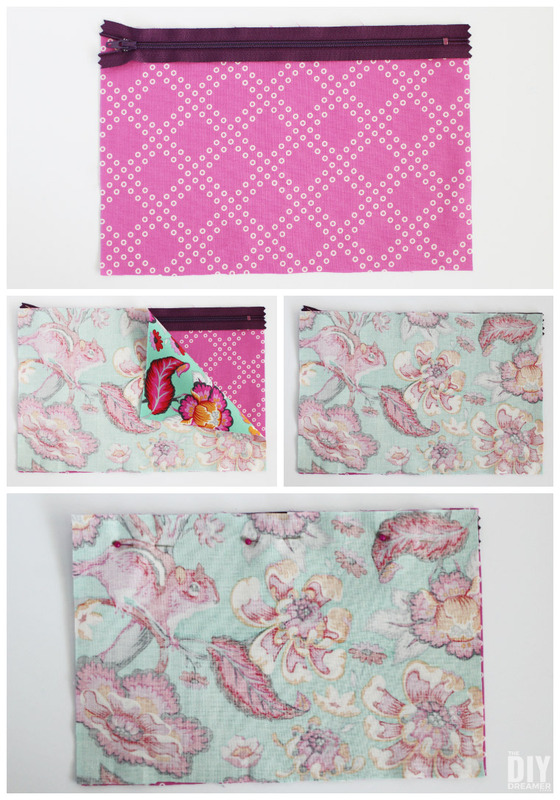 I demonstrated in detail how to sew a zipper with a zipper foot here: Easy Zipper Pouch Sewing Tutorial. It’s really worth checking out! Lots of photos demonstrating the process. Step 4: Time to sew the other two pieces onto the zipper! First we placed the final lining piece face up on a surface and then we placed the fabrics and zipper over it with the zipper facing up. Finally we placed the last piece of the outer fabric over it all face down and pinned it all together. 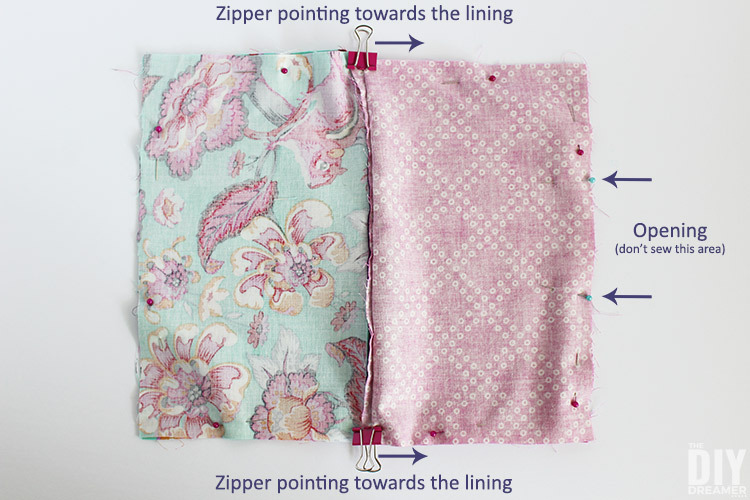 Step 5: We moved back to the sewing machine and sewed the zipper to the last pieces of fabric with the zipper foot. 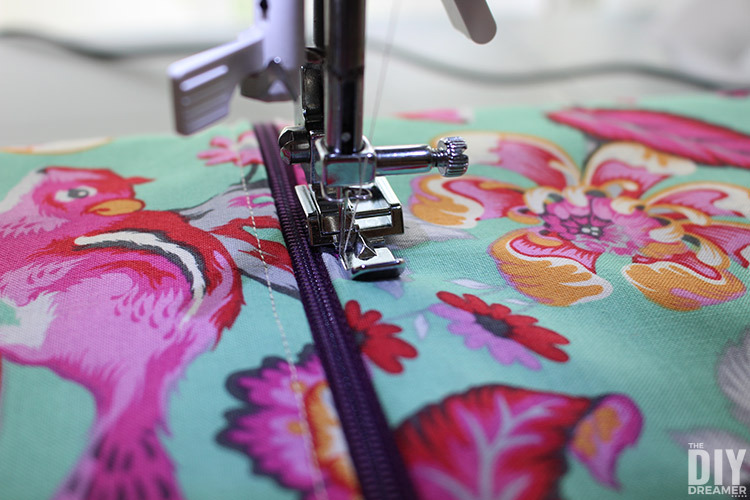 Step 7: We went back to the sewing machine and top stitched the fabric each side of the zipper. 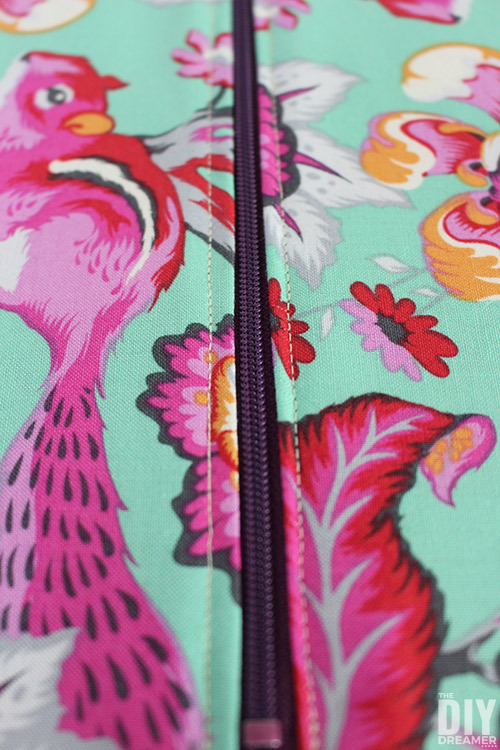 It gives a nice finishing touch to the zipper. 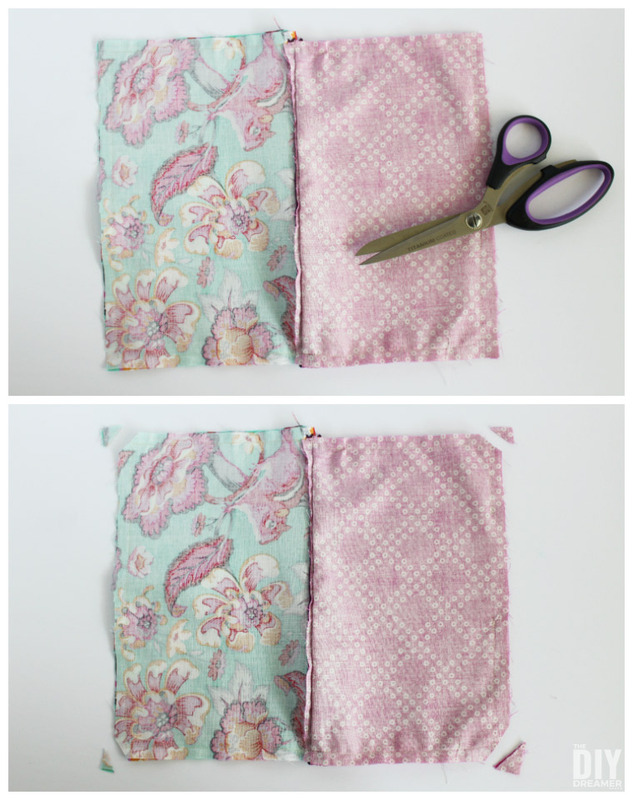 Step 8: Next, time to sew the fabric together to make a pencil case! Yay! First we made sure to unzip the zipper, forgetting to do so would mean a total sewing fail. Step 9: We placed the lining pieces facing each other, the outer pieces facing each other, and the zipper pointing towards the lining. We used small binder clips to “pin” the zipper in place, making sure it was pointing towards the lining pieces. 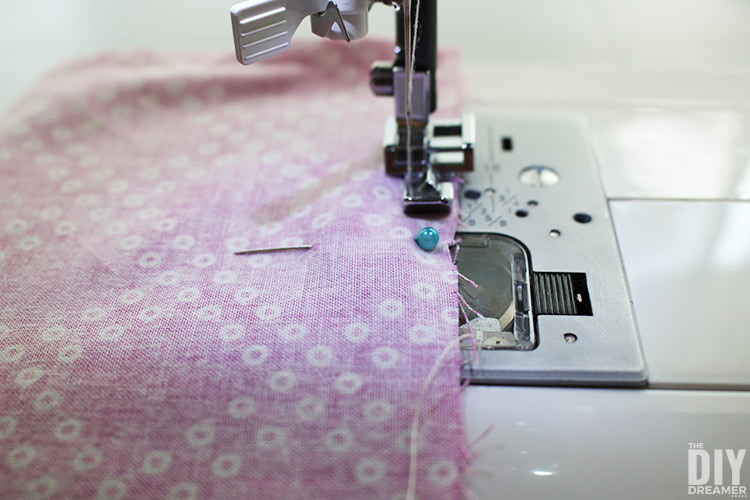 We pinned the fabric all the way around, however we did use two blue coloured pins to mark a 3″ opening in the lining. 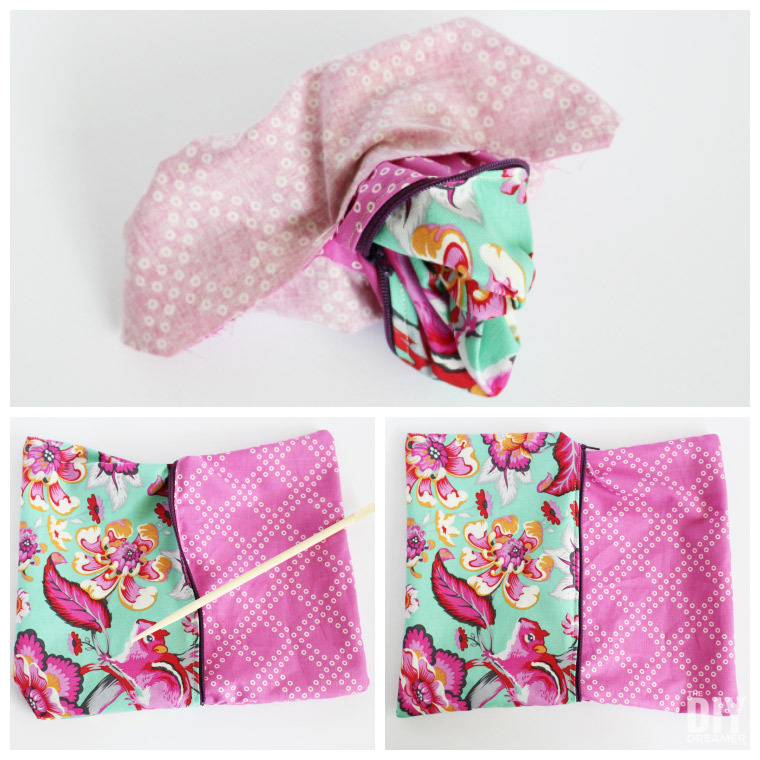 It’s important to leave an opening to be able to flip the fabric right side out after sewing. 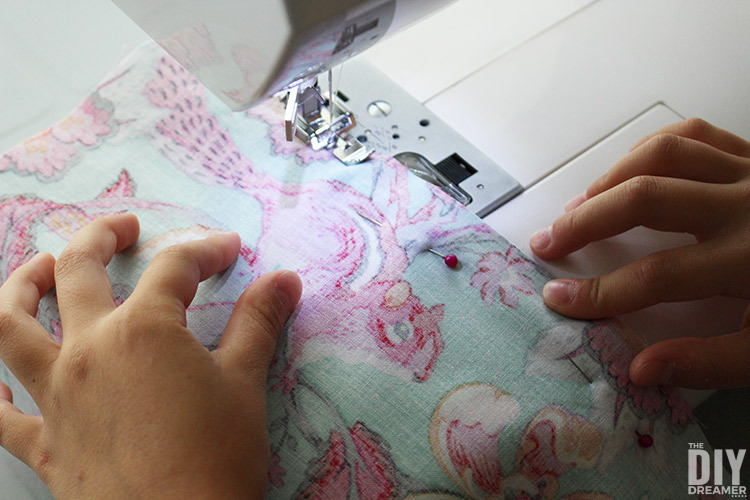 Step 10: We moved the fabric to the sewing machine and started sewing the contour starting at the bottom blue pin. We continued sewing around and we were extra careful when we got to the zipper. 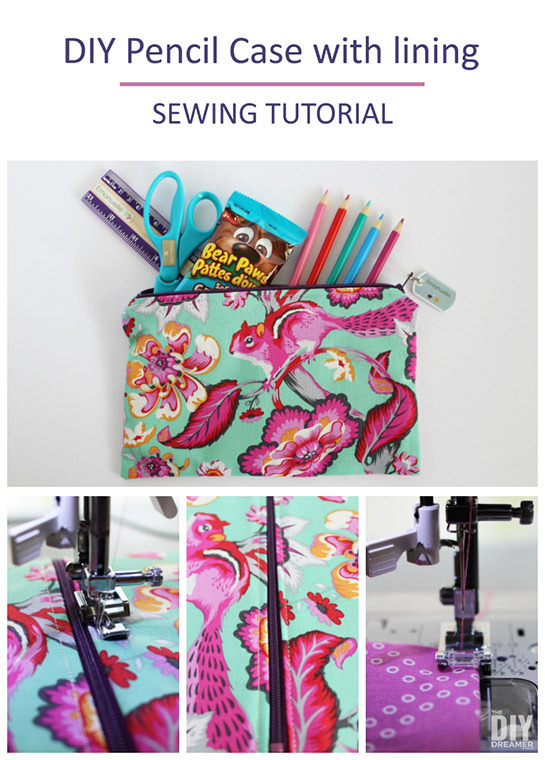 (If your sewing machine is having a hard time sewing over the edge, you can sew it manually with the crank and even lift the presser foot if necessary.) We stopped sewing once we arrived at the other blue pin. Step 11: We snipped the corners of the fabric and some of the extra zipper. This prevents extra bulkiness in the corners when you flip the pencil case right side out. 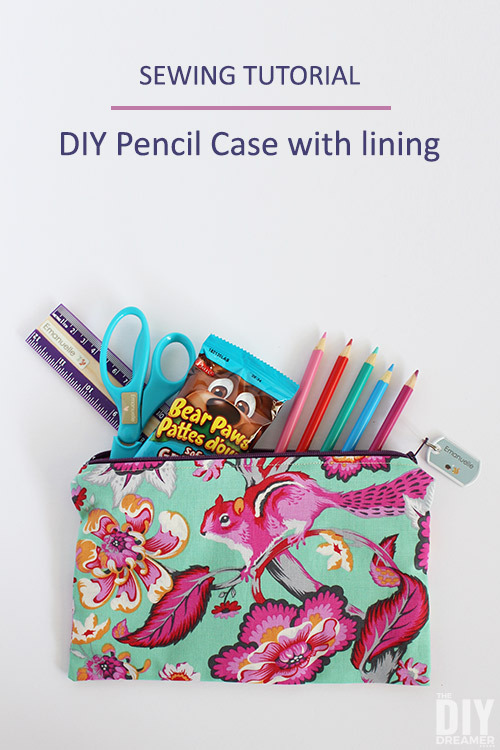 Step 12: We turned the pencil case right side out using the opening we left in the lining. We use a chopstick to poke out the four corners. 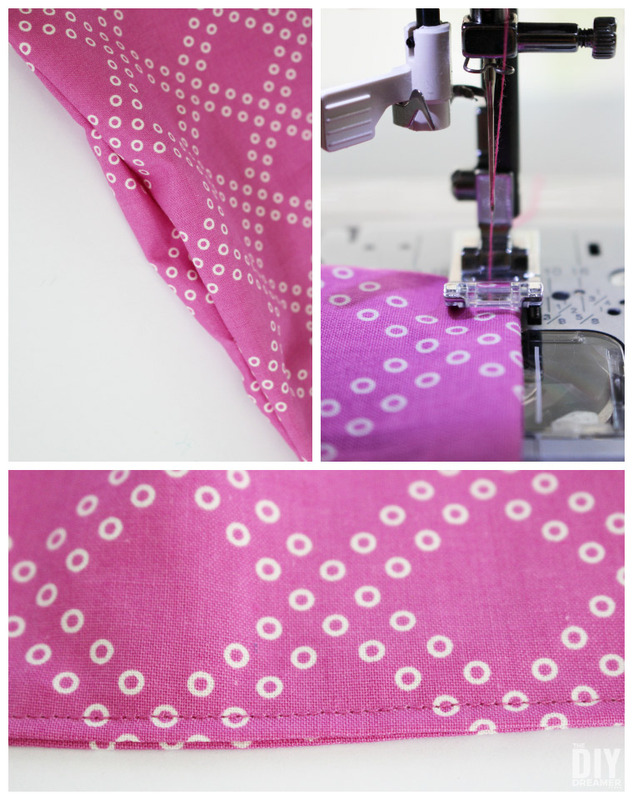 Step 13: We changed the thread colour on the sewing machine to match the lining. We top stitched the bottom of the lining in order to close the opening we had left. 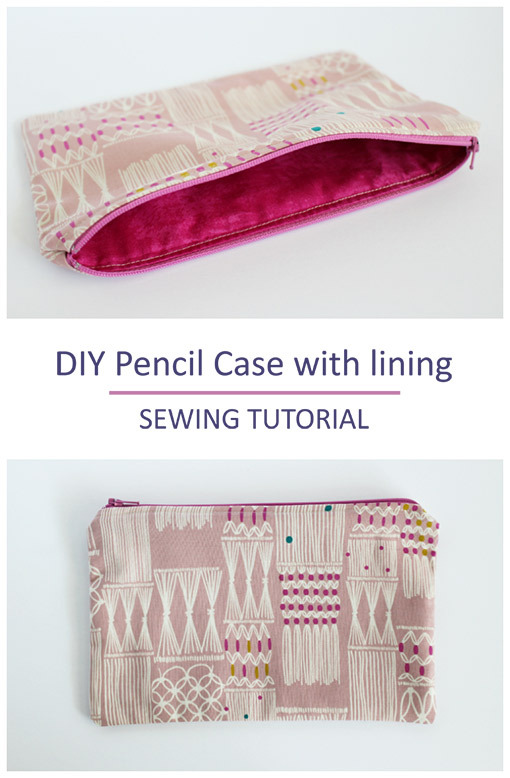 Step 14: We pressed the pencil case with our iron and placed the lining back inside. 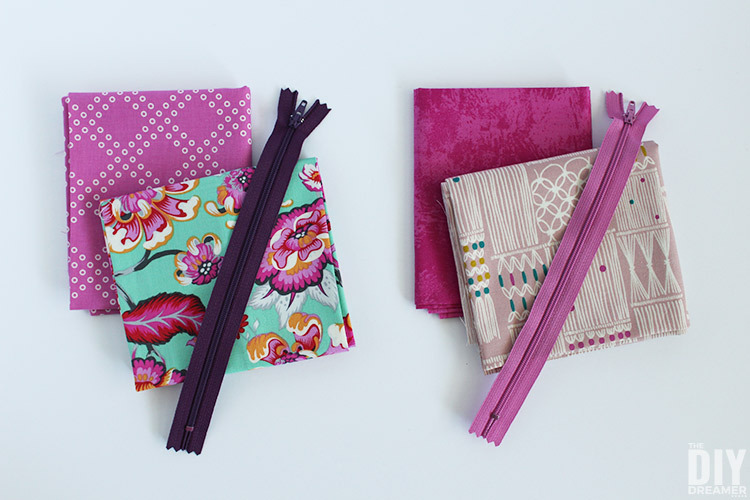 Voilà we have our very own pencil cases with lining! Once the pencil cases were finished, it was time to label the school items! We sat outside on a tablecloth and spread out all their supplies. Then we took out their personalized Mabel’s Labels that they had chosen! 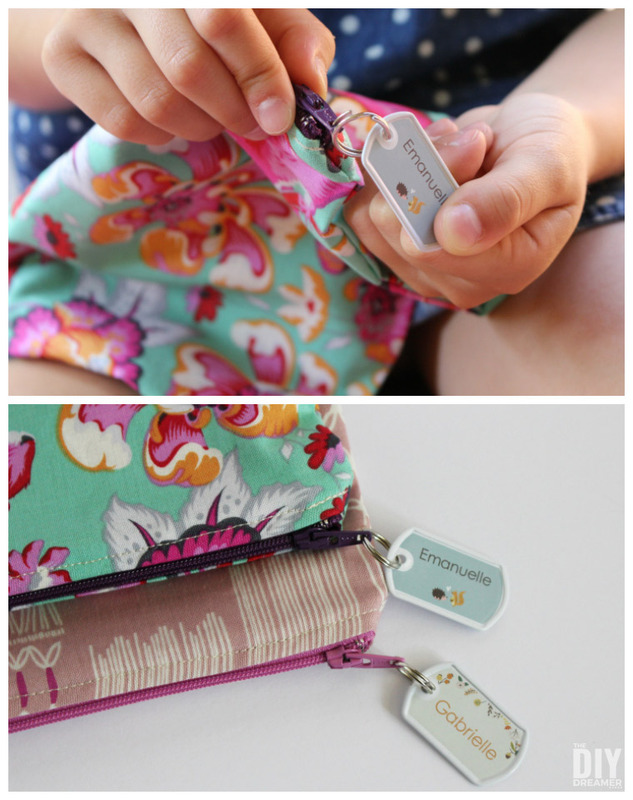 Have you used Mabel’s Labels before? 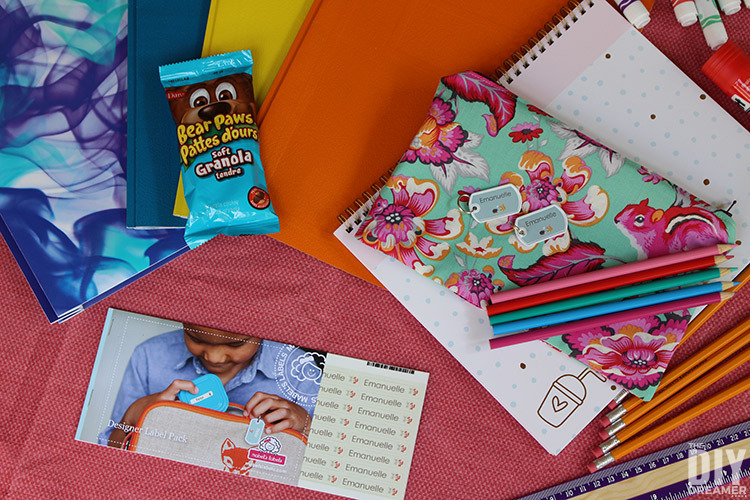 Mabel’s Labels is essential for back to school! They make labeling items quick and fun! My kids love them because they find it cool to see their names printed on labels and I love them because they make things hard to lose! 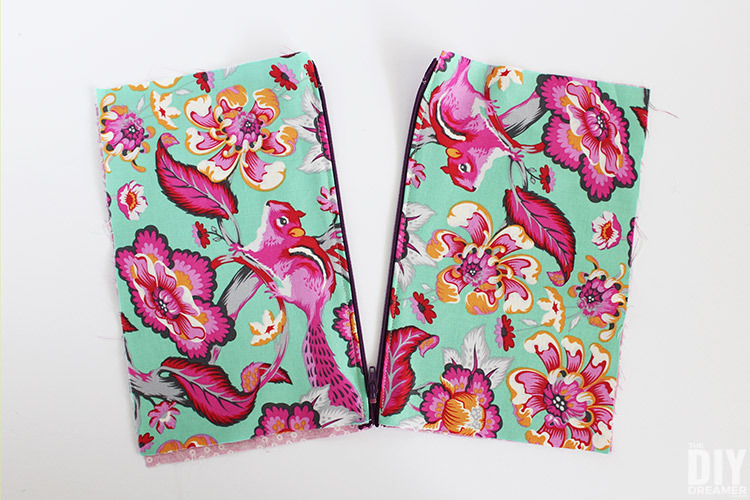 They can be used on so many different things like clothes, shoes, electronics, sports equipment, lunch containers, water bottles, school supplies, etc… The labels are waterproof, laundry safe, microwave-safe, and UV-resistant. We had so much fun labeling their school items! 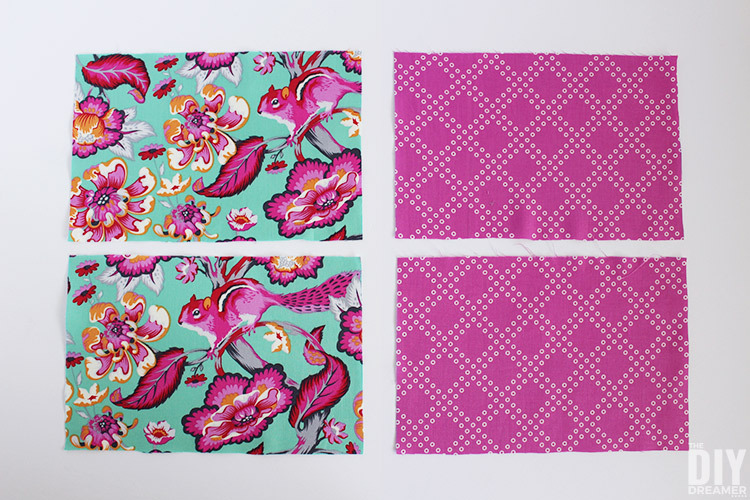 They both had chosen labels from Mabel’s Labels Designer Label Pack which not only came with labels but with personalized mini tags. Guess where they wanted to put the mini tags? On their new pencil cases! Psssst…. If you are Bear Paws lovers like we are, purchase a specially marked box of Bear Paws and get $5.00 off your order of Mabel’s Labels with the coupon code found inside! 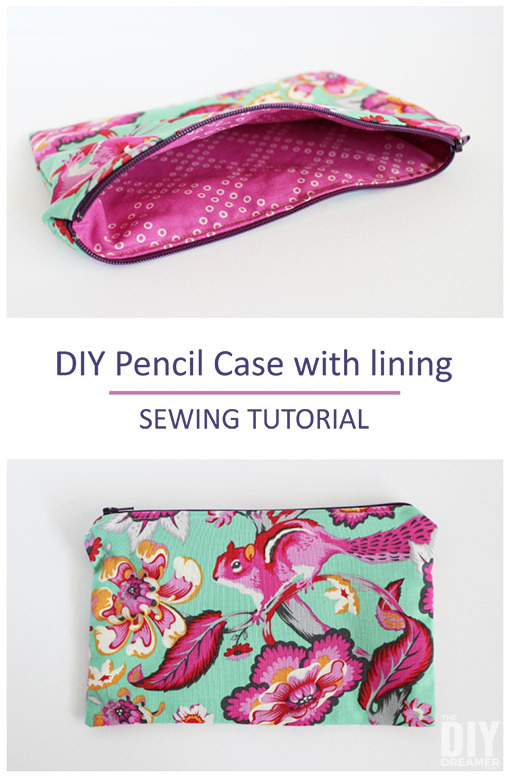 I hope my pencil case sewing tutorial and my back to school essentials have helped make back to school exciting for you and your kids! 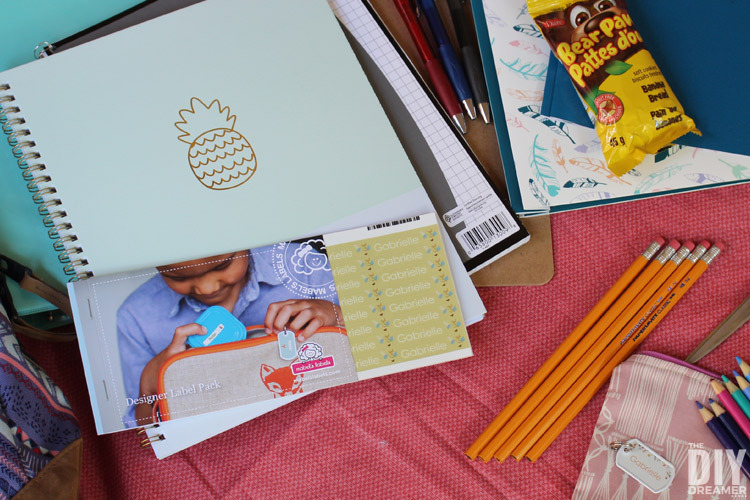 Do you have a back to school tradition with your kids? 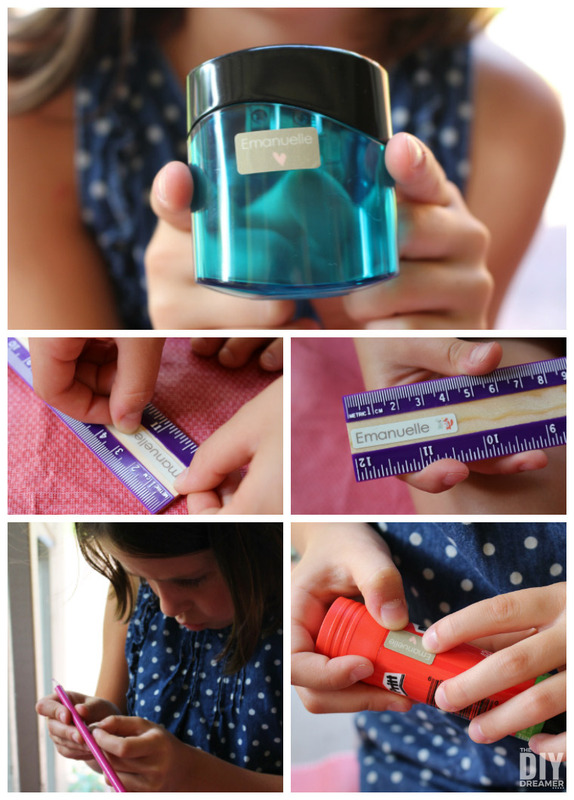 Have you used Mabel’s Labels before? Are your kids excited for back to school? Mine are! Does your family snack on Bear Paws? haha So many questions! But I want to know!! I love these! Thanks for the tutorial. I will have to try this soon! Thank you for this! We made four tonight. 3 of the 4 we sewed one of the lining pieces the wrong way. I think step 4 should read that you laid the final piece of lining fabric face up not face down. Thanks again, they all turned out lovely. Oh!! I’m so sorry about that! Oups!! YAY!!!! So happy! You’re very welcome!